The Universal Experience of Addiction. Gabor Maté, Retired physician, seminar leader, acclaimed public speaker, and bestselling author. With the carnage imposed by the current epidemic of opioid overdoses across North America — many dozens of people dying every day — public alarm around addiction is focused almost exclusively on drugs. For all the anguish around substance dependence, addiction cuts a much broader swath across our culture. Most addicted people use no drugs at all and addiction cannot be understood if we restrict our vision of it to substances, legal or illicit. And the source of pain is always and invariably to be found in a person’s lived experience, beginning with childhood. Childhood trauma is the template for addiction — any addiction. All addictions are attempts to escape the deep pain of the hurt child, attempts temporarily soothing but ultimately futile. This is no less true of the socially successful workaholic, such as I have been, than of the inveterate shopper, sexual rover, gambler, or abject street-bound substance user. 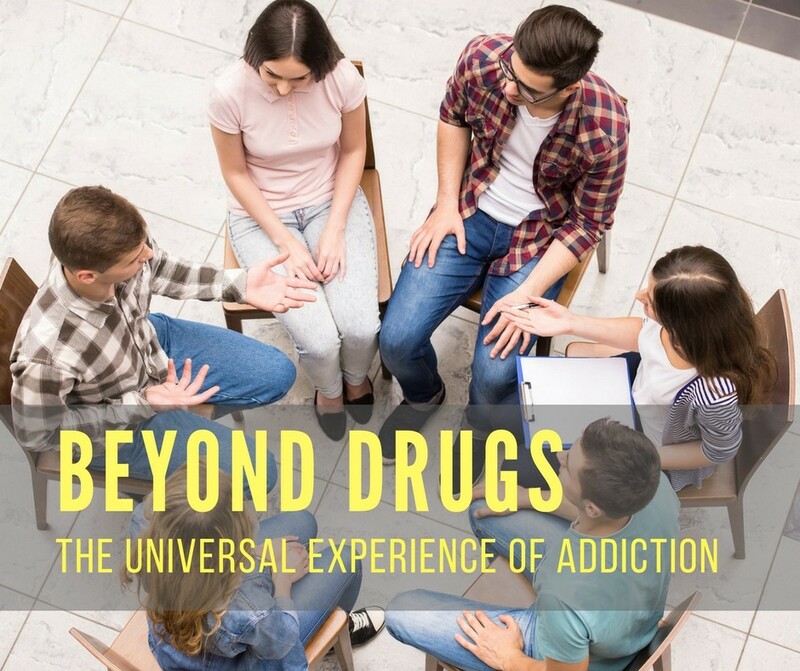 Not only is the urge to escape pain shared by all addicts, substance users or not, the same brain circuits are involved in all addictions, from shopping to eating to heroin dependence. The same brain circuits, the same brain systems involving pleasure and reward and incentive, the same neurochemicals — not to mention the same emotional dynamics of shame and lack of self-worth, and the same behaviors of denial and dishonesty and subterfuge. to treat the addiction, which is a symptom, without treating the pain that underlies it is to deal in effects rather than in causes, and therefore dooms many to ongoing cycles of suffering. Finally, a word about childhood trauma. When people see this word, they often — perhaps naturally — assume that we are speaking of terrible events, such as abuse, sexual exploitation, the death of parents, violence in the home, and so on. And surely, as the research abundantly shows, the more such experiences a child has to endure, the exponentially greater his or her risk of addiction. But trauma is not restricted to horrific experiences. It refers to any set of events that, over time, impose more pain on the child than his or her sensitive organism can process and discharge. Therefore, trauma can occur not only when bad things happen, but also when the parents are too stressed, to distracted, too depressed, too beset by economic worry, too isolated, etc. to respond to a sensitive child’s emotional need to be seen, emotionally held, heard, validated, made to feel secure. Such is the reality behind many a story of “happy childhood.” In fact, the denial of one’s pain, the splitting off of distress from conscious memory, is one of the outcomes of trauma. Not all traumatized people become addicted, but all addicted people were traumatized. That is the reality of our culture, where addiction, like trauma, is so commonplace that most people also don’t recognize its presence. Yet it surrounds us, engulfs so many of us, that our near-exclusive focus on the troubles of drug addiction is itself but another escape from reality.